*deep breath* Here it is – the one I didn’t want to write. A post on self-compassion; the thing I’m absolutely one of the WORST EVER at. 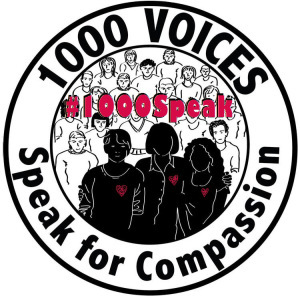 Publicly so, to the point where people I know have looked askance at me and questioned why I would choose to make life difficult for myself by choosing a topic for ‘1000 Voices Speak for Compassion’, which is so alien to me.